The company wasn’t able to answer, and the truth is that it is very difficult to figure out how much oil drilling affects the local economy. One thing is clear: the economic impact of oil drilling won’t grow in a vacuum. If oil drilling expands along the Beartooth Front it will run headlong into the tourism industry that is the cornerstone of the local economy. Carbon County is currently developing a four-year growth plan that will be complete in January, and has contracted with CTA Group of Billings to head the process. Brent Moore of CTA is leading the project, conducting regular public hearings. For this plan to be a relevant document, it needs to deal directly with the issue of how to manage oil drilling so that it can coexist with tourism. Tourism is the backbone of the local economy. Its economic impact is well understood. Red Lodge thrives on tourism in winter and summer, and a recent article by Alastair Baker in the Carbon County News states the impact clearly: tourists spent over $73.2 million in Carbon County in 2013, according to Mike Garcia, Director of Voices of Montana Tourism. 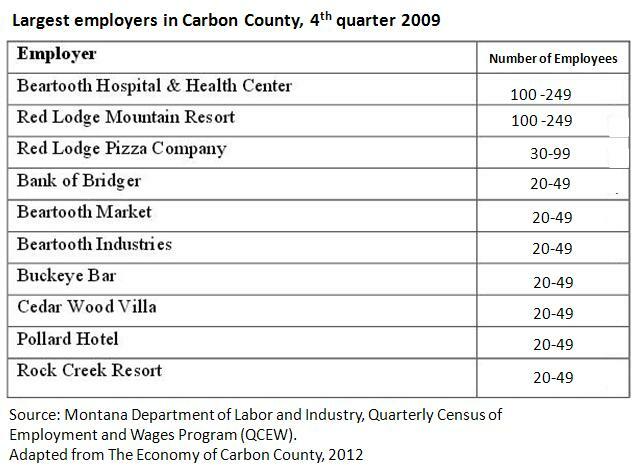 According to a 2012 study entitled The Economy of Carbon County prepared by the US Forest Service, tourism is the primary driver of employment in the County. 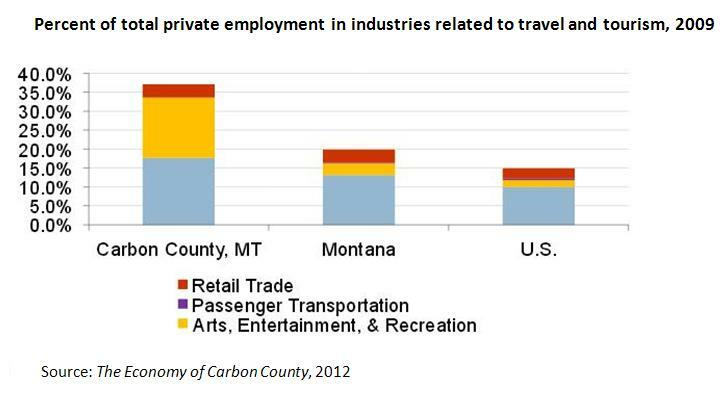 Of total private employment in the area, 37.5% is associated with sectors related to travel and tourism, much larger than the total for the State or the US as a whole. Of these jobs, 47% are associated with lodging and food services, and 43% fall into the category of arts, entertainment and recreation, as shown in the chart below. According to the Carbon County News article, 11 million visitors to Montana spent $3.62 billion last year, of which $440 million was spent by foreign visitors. Statewide, tourists supported nearly 34,000 jobs statewide — one in every nine Montana workers. Tourism generated $236 million in state and local taxes, which is up 10 percent from 2012 and it helped lower taxes on each Montana household by nearly $550, up 9 percent from 2012. Why do tourists come to Carbon County? According to visitor statistics collected on daily pass purchasers at Red Lodge Mountain, nonresidents spend on average five nights in Montana on a ski trip and stay mostly in hotels (42%) or rental cabins (26%). Nonresidents identified location (88%), price (52%) and family friendly area (46%) as the primary reasons they chose Carbon County. 72% of nonresidents did not plan to ski at any other location during the season. The city of Red Lodge, with a 2010 population of 2,297, is one of eight communities in Montana that levy a resort tax on the retail value of goods and services sold by retail establishments connected with tourism. The Montana Department of Commerce has determined that the community meets key requirements necessary to levy such a tax (populations less than 5,500; community’s economic well being tied to non-business travelers). The purpose of the tax is to allow communities that have high numbers of visitors but small local populations to collect funds to “manage the wear and tear on local infrastructure without overburdening local citizens.” The City’s resort tax is 3%, the maximum allowed. According to Red Lodge Mayor Ed Williams, who was quoted in the Carbon County News article, the resort tax reduces local real estate taxes by 15%. “Without it, we’d have to find funding elsewhere,” he said. An expanding oil economy produces a much less certain picture. Clearly, some residents would receive a financial windfall — those lucky enough to own mineral rights, and lucky enough to have oil on their property, and lucky enough to have an oil operator decide to extract oil from the shale beneath them. It’s kind of like a lottery, with no rhyme or reason for who wins and who loses, but certainly not a basis to build an economic foundation on. There will be some jobs, but the highest-skill, highest-paid jobs will go to immigrants from elsewhere, as has been the case in the Bakken. The social fabric of the town will change. Population growth will be almost entirely men, who will have money and be looking for things to spend it on. Man camps, drug use, crime, and prostitution are all byproducts that oil towns have to live with. With regard to tax revenues, production on wells in Montana isn’t fully taxed for 18 months because of Montana’s oil and gas tax holiday, leaving towns to wait two years for money to upgrade infrastructure. When taxes do kick in, the state receives 52 percent, with about 47 percent divided between counties and school districts. Cities get one-tenth of 1 percent. And the funds don’t return to counties in proportion to what they put in, so having more wells in your county doesn’t necessarily mean you get more back. New hotels and housing are straining the city’s sewer system to its limit. The town brings in about $10 million dollars a year in taxes, but it has $55 million dollars in infrastructure needs. But here’s the big issue facing Carbon County growth planners: as oil drilling expands it will inevitably come into direct conflict with tourism. We’ve established that tourism depends on the “family friendly” atmosphere of Red Lodge and surrounding areas. Central Avenue in Sidney. Click to enlarge. There can be no question that an expanding oil economy erodes family friendliness. Imagine truck after truck rumbling down Broadway in Red Lodge as they do today on Central Avenue in Sidney. Imagine the largely male oil workforce heading into town on payday Friday night, looking for places to drink and women to meet. Imagine the quaint restaurants and shops turned into strip clubs and discos, with soft music replaced by pulsating bass beats. Imagine female tourists getting leered at and propositioned on the street. This is not a fantasy. This is what happens in oil towns. And it’s not family friendly. If you haven’t seen our video “Preserve the Beartooth Front” you should watch it. It’s an excellent description of why it is important for local residents to take action to make sure their property and way of life are preserved. Pay close attention to the poignant words of Mary Johnson, who lives in Red Lodge with her husband Bob. They’ve retired from the family farm near Tioga, North Dakota, where they lived through the Bakken oil boom. Here’s our beautiful little farm with trees, and it’s such a pretty place. But on both sides, about a mile in each direction, was oil stuff. It was stinky, it was dusty, I could hear lots of machinery, I could hear people talking at 2am. I said to Bob, ‘If we lived there now and we had small children, and I’m not kidding, I would not let them out of my sight. 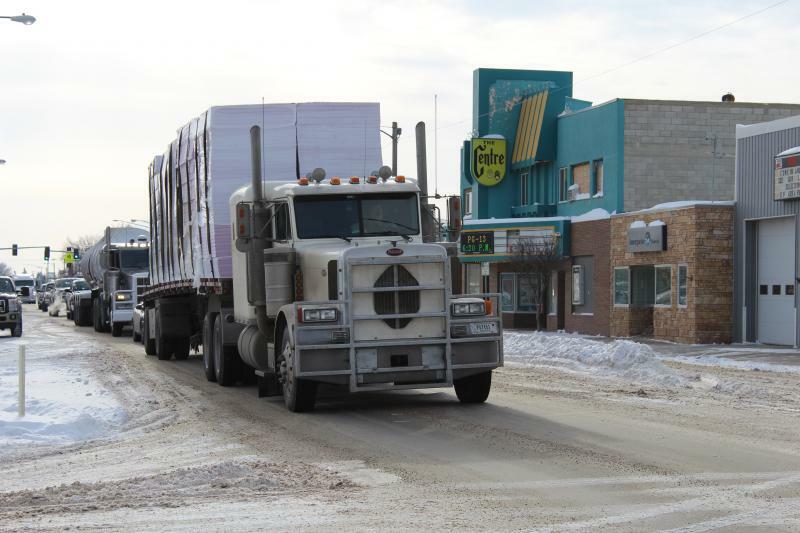 One well in Belfry is not going to change the family friendliness of Carbon County, but the task of those who are planning County growth is this: how do you manage the growth of the oil economy in such a way that it doesn’t crowd out tourism? If, as Kuntz says, a 30% reduction in tourism would destroy the economy, what growth policies should be put in place to keep that from happening? We believe that the highest and best management practices proposed by the land owners in the Silvertip Zone are a good start. If the County Commissioners believe they should do nothing and let the oil business grow without controls, they are rolling the dice with the economic future of the County. The oil boom will end eventually, and if the Commissioners do not put growth policies in place to protect tourism, they may find Carbon County with no oil and no tourism, and as desolate as a ghost town. This entry was posted in Community Organization, Politics and History and tagged Carbon County Commissioners, CTA Group, Oil and Gas Tax Holiday, Red Lodge, resort tax, The Economy of Carbon County, tourism, US Forest Service, Voices of Montana Tourism. Bookmark the permalink. Very important issue that has been left out of all the County Commissioners’ meetings. So….. tourists come to Carbon County for the skiing, hiking, fishing, camping and the charm. And tourists pay a premium through a tax to enjoy this region. ECA comes and enjoys a tax holiday and puts at risk all that attracts tourism. This seems like a really bad trade-off. Tourism is relatively low impact and creates jobs for people of all ages. Fracking creates some jobs and, based on the track record in Eastern Montana, brings man camps, crime traffic, dust and higher property taxes. 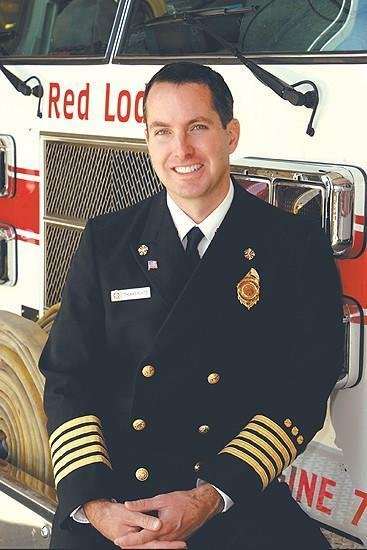 Are the County Commissioners paying attention? Sent this good article on to Western Maryland, where they have a great tourism industry around Deep Creek Lake. Maryland is holding Marcellus development off for now. It will kill their winter skying, land development for recreation, fine restaurants, and boating. Family farming/ranch and tourism are the TRUE low-impact ans sustainable economies that are here for the long haul since the Homestead Act and Civil War, NOT the ‘get rich quick’ oil and gas industry here to achieve maximum profit in the least amount of time, as evident with the ‘tax holiday’ we citizens are saddle with thanks to craven legislators who continue this needless ‘gift’ for the most lucrative industry in the history of civilization. Remember the ‘boom and bust’ bubble in the Eighties, especially when everybody wanted to be like Wyoming and then what happened? I submit that the Bakken in ND could last a couple of decades, BUT the farms and ranches started by the homesteaders long ago, will still be there when the oil derricks are scrapped. There should be an economic analysis, but the facts presented here – MT tourism ranks with Ag as the TOP two money makers – cannot be ignored. 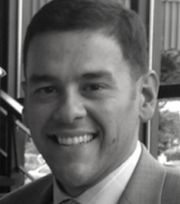 What will the ‘extractors’ bring and for how long? We’re going to find a way to new sustainable energy – I can’t make hay and haul it with an electric tractor that doesn’t exist yet – but in the end I suggest SOIL over OIL.